The head of the local historical society asked me to sit for an interview with the Summerside newspaper just before Remembrance Day. The article centred my badge collecting with a little about the military service of my family and myself. As a result of that article, a gentleman that I know from church gave me the following two badges. He is an accomplished musician, playing the piano and the clarinet. He served in the Royal Newfoundland Regiment and was also a member of the Church Lad's Brigade band. As he was originally Presbyterian, he was told by the Bandmaster that he would never be promoted beyond Corporal. How times have changed. He tells me that the band is still active, but now has several female members. 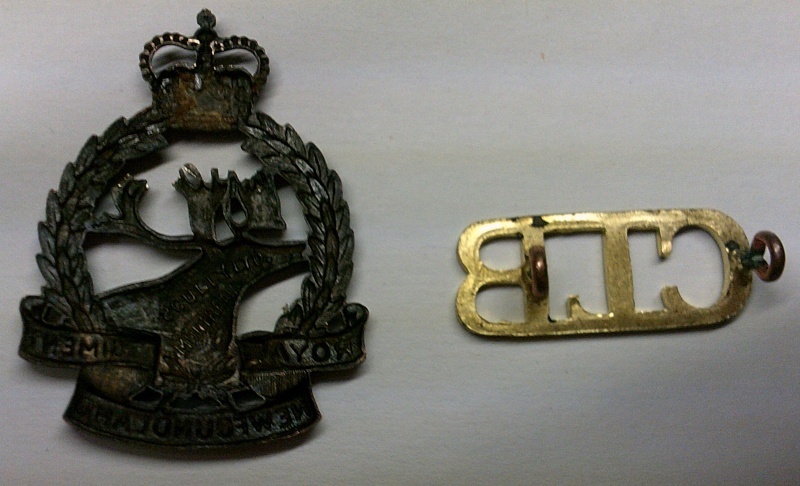 Anyway, the RNfldR hat badge is Scully marked but is missing the slider as you can see. 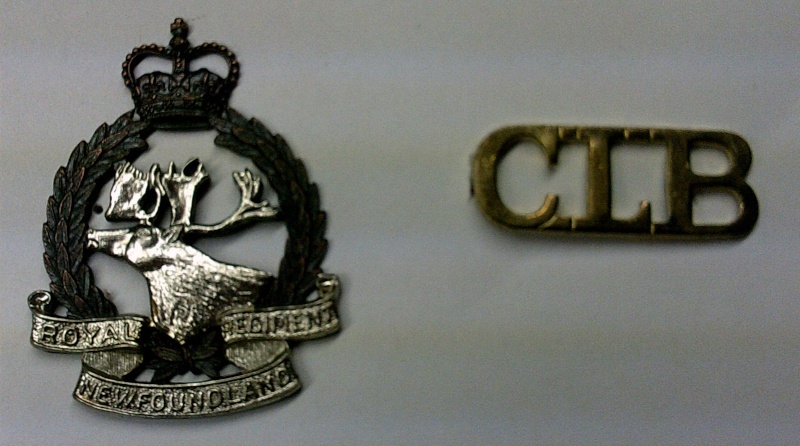 The Church Lad's Brigade shoulder title is an interesting little piece. Just wanted to share this bit of good fortune with the other members.